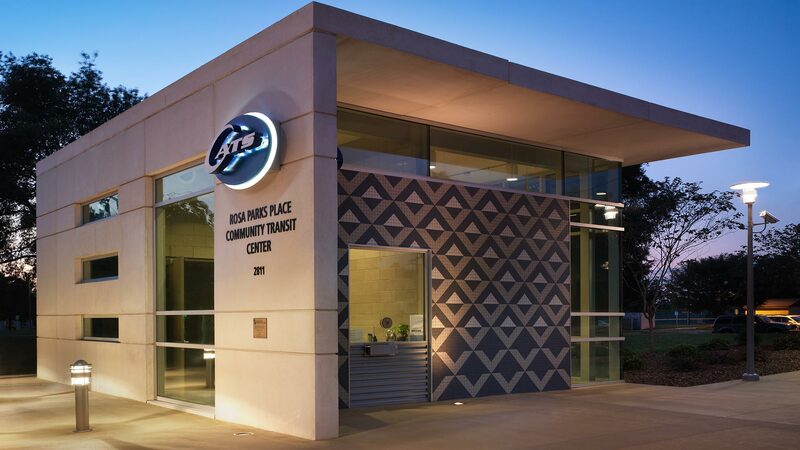 This unique civic project allowed REDLINE to show its talent in producing high design at low cost for the local community. 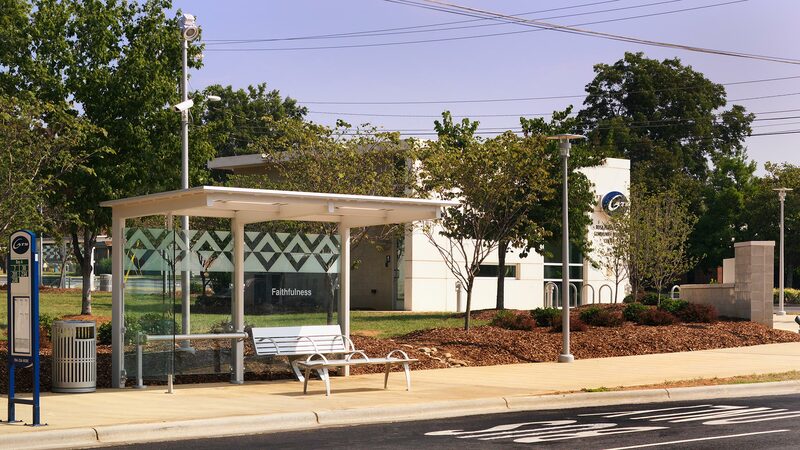 The Charlotte Area Transit System (CATS) hired REDLINE to produce a community-conscious, driver comfort, ticketing and security station for bus drivers and police. Also in the scope were several shelters for riders awaiting their bus to arrive. 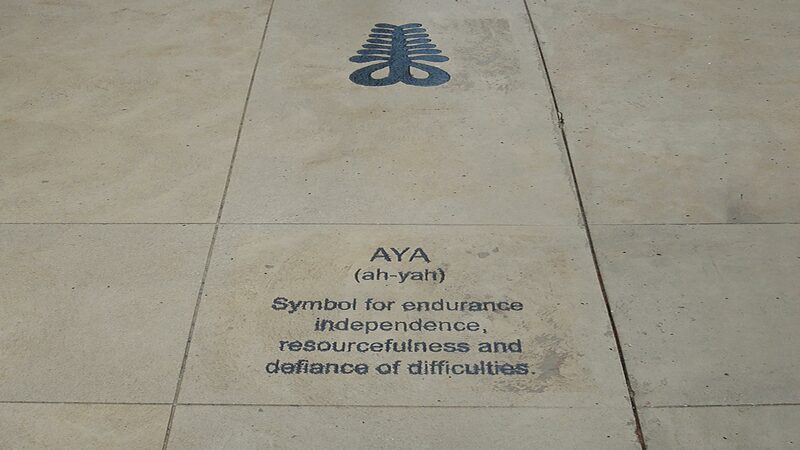 REDLINE was tasked to work integrally with a local African American artist to provide artwork, both within the hardscaping and the building facade. 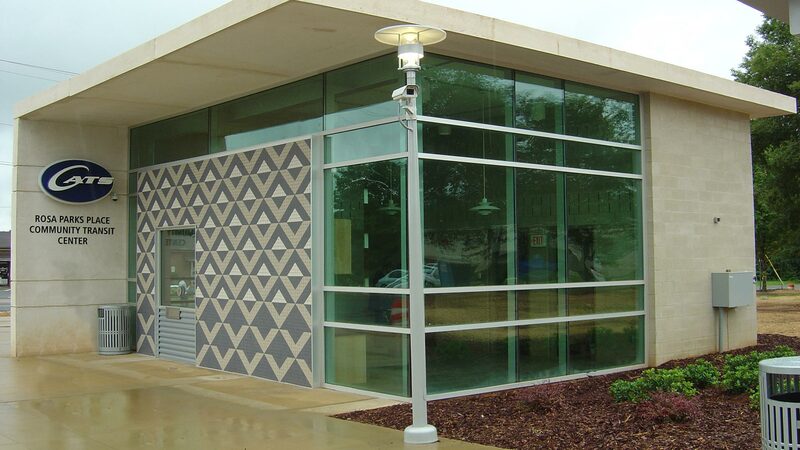 The facility features a large art wall made of cast, stained concrete, by the artist Chandra Cox. 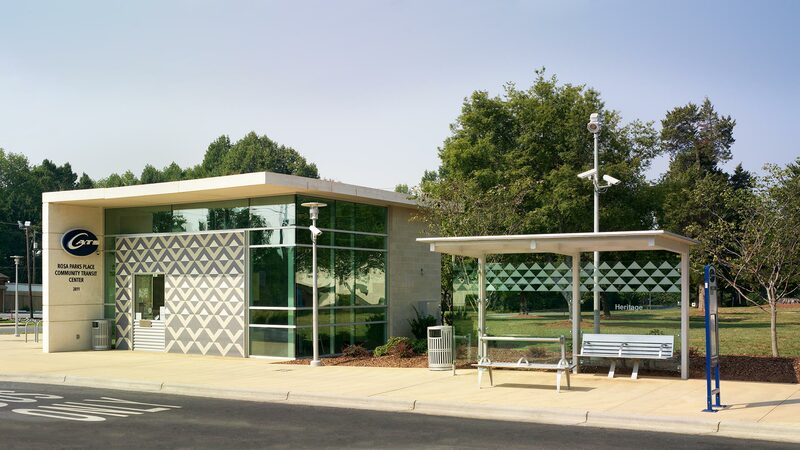 The shelters also echo this modernist approach with thin steel structure and transparent glass panels.